If you can PM me with the details of the cloud devices - make build number SN and firmware version and also the SN and build number of the phone, I will gladly open a ticket with the dev team and investigate this further. I have exactly the same message when trying to back up to a QNap NAS with 6TB of free storage space, when trying to backup the phone says ''not enough storage space''. When I check the NAS the folders for the backup data have been created but no data is backed up. I can´t backup via NAS in my huawei p20 pro,. It says that it is not enough storage. Trying to backup to my own unRaid server via SMB share that is Public in my own network. For speed i always write the data to my cachedrive first and then in the night it transfer it to the protected array. Doesnt matter if i write it to the cachedrive or the array directly the phone says it´s not enought space anyway. Have tried with other P20 Pro aswell as other NAS but same problem. Please let me know if you need any more information about my setup. I have the latest version and it still doesn't update to my NAS. After looking into this inquiry, since these are devices which aren't manufactured by Huawei we were not able to find a solution, you might want to contact the manufacturer of your NAS, they will possibly be able to help you sort this situation out. Which port Huawei back up over? Weirdly my newer NAS works but the older one doesn't. Sorry, but we don't completely understand what you mean by that. Would you mind elaborating on that a bit so we could give you the right answers? Basically I have 2 NAS drive from the Western Digital. 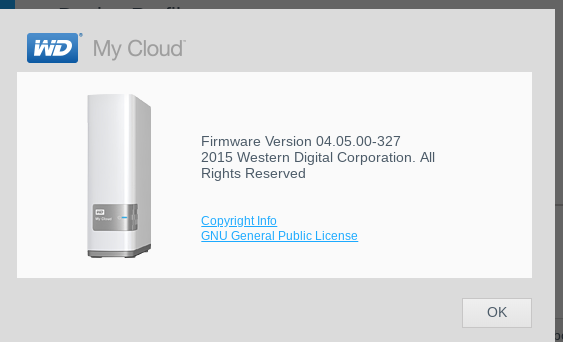 The WD MyCloud EX2 works with the backup but the older MyCloud doesn't. But as mentioned in the previous post we do not manufacture NAS drives, therefore we can not provide further assistance as those are not our devices. It is best you get in touch with NAS customer care support and inquire further about this. Can you tell me what protocol is Huawei using to backup the stuff? FTP? We are sorry but due to our procedures and GDPR rules we are not allowed to disclose the reuqested information.